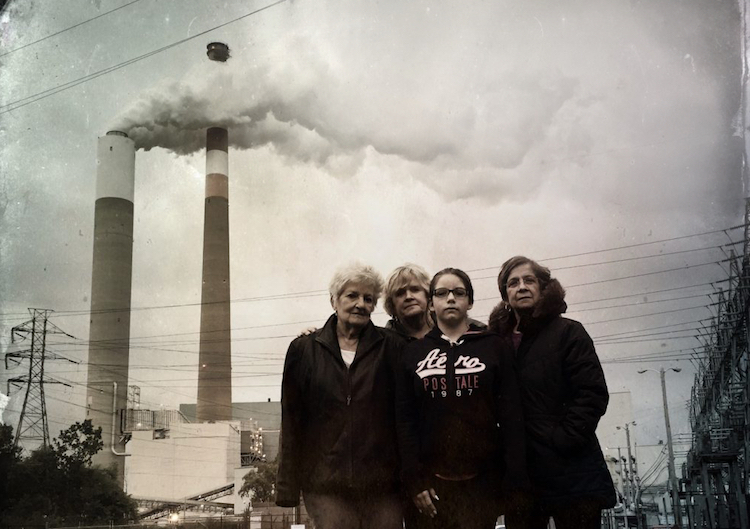 Cheswick residents outside the Cheswick Power Plant. Photo by Lynn Johnson courtesy of the Breathe Project. Two environmental groups are suing to prevent money from the county’s Clean Air Fund from being used to renovate Health Department offices in Lawrenceville. Under a proposal approved by the county Board of Health in May, $66,000 from the Fund will be used to start the project this summer, with an additional $4.5 million coming in September to cover construction. The rest of the construction costs, an estimated $5 million, will be covered by the department’s “Title V” funds which are meant to cover the cost of inspecting pollution sources. Members of GASP, as well as two members of the county’s Air Quality Advisory Committee, objected to the decision at the time. 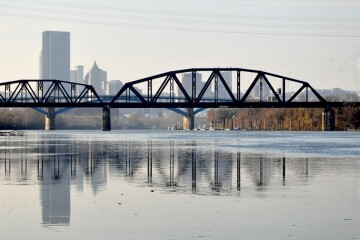 “Allegheny County ranks in the top two percent of U.S. counties for cancer risk from inhaled air toxics,” Rachel Filippini, executive director of GASP, said in the statement released yesterday. The statement goes on to point out that the county has over $45 million in a “rainy day” fund that could easily cover the costs. In addition, the county recently raised $114 million for infrastructure projects through bond issuing. McKain went on to say that the county’s $49 million in unassigned funds and revenue from bond issuance (that “rainy day” money that GASP mentions) was “a drop in the bucket” as the county looks to tackle other pending expenses. The Health Department declined to comment on this ongoing legal matter. Steve Hvozdovich, the Pennsylvania Campaigns director for Clean Water Action and a member of the county’s Air Quality Advisory Committee, said he agreed that updating the Lawrenceville site is a pressing need for the Health Department. “Anyone who has ever visited the current offices that house the Allegheny County Health Department’s Air Quality Program understands the need to upgrade their facilities. As such, I certainly want them to have a safe and modern work environment that allows them to perform their job at the highest level,” he said. “However, I don’t support cutting the Clean Air Fund by nearly half to largely bankroll that project. I think doing so sets a dangerous precedent for trying to tap back into this fund to finance future projects that don’t embrace the true intent on the Clean Air Fund.